Directions: The base of the Volcano is an hours drive from the nearest town, named Pucon. Tour companies run mini-bus rides which make access relatively easy. Long distance buses run throughout Chile, making locations such as this simple to reach from the major cities/towns, with Santiago being a ten hour bus journey away. 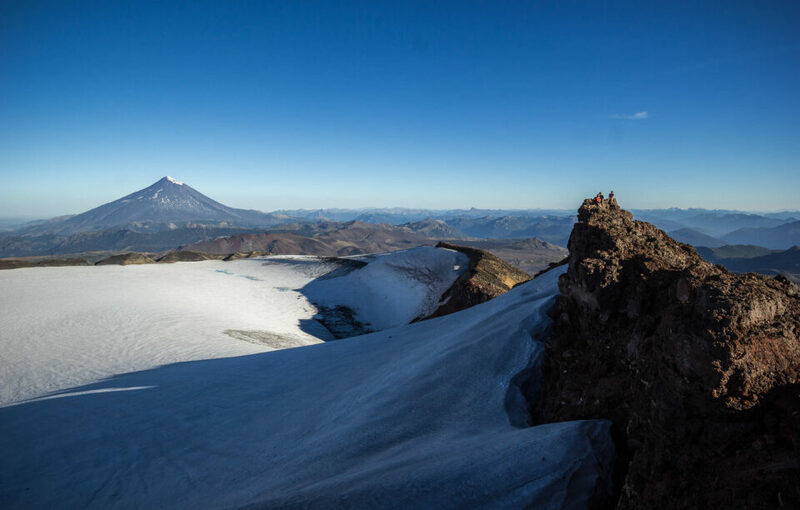 Quetrupillan Volcano (2360m) is situated within Villarrica National park, which also contains the larger but more challenging to climb, Villarrica Volcano. I was travelling through the region with friends by bike, and with just a 6km hike up to the summit, the decision to climb it was a no-brainer. 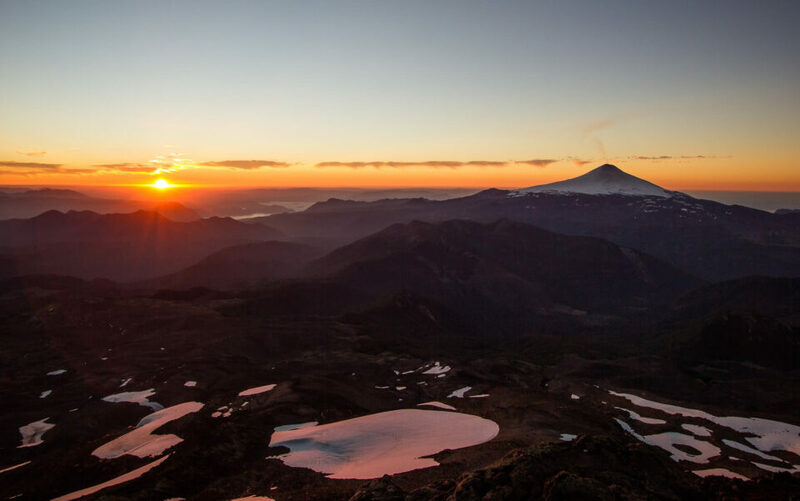 The summit greats you with incredible views over nearby Volcanoes Lanin and Villarrica, as well as the Andes mountain range spread across the entire horizon. We reached the summit late in the afternoon and decided to stay up there overnight, choosing the hard Volcanic rock as our mattress. Being at the summit for both sunset and sunrise gave two contrasting views, both equally dramatic. 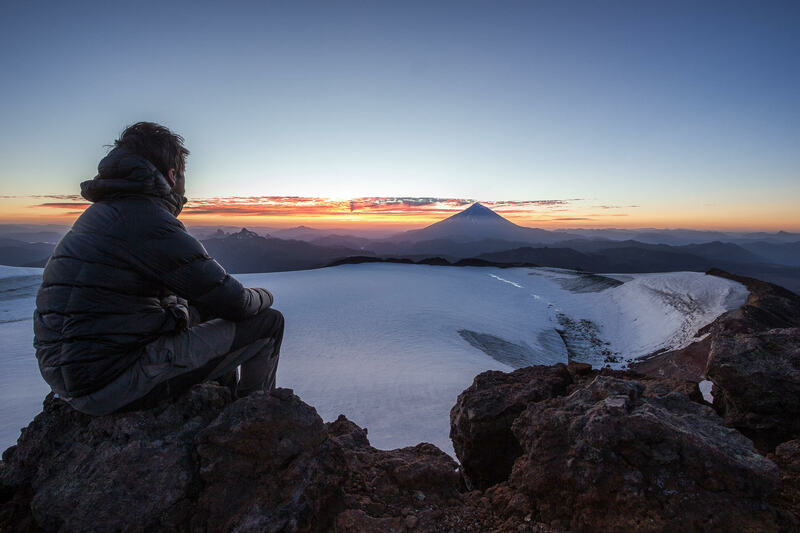 The sunset view was over Andean foothills and Volcano Villarrica, with sunrise peaking over the Andean Mountains and the majestic Lanin Volcano. As night fell, it was evident it was going to be a clear sky, giving me a great chance to capture the milky way in such a dramatic setting. 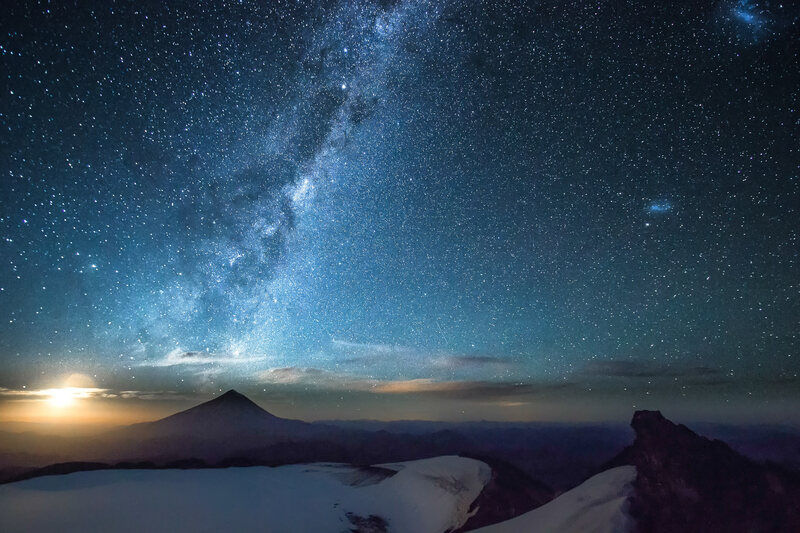 The starry image below was captured at 3am as the moon rose over the horizon. It is an absolute must to sleep on the crater rim in order to be up there for sunrise, the 6km walk up takes several hours due to the gradient and you would be hard pushed to make it up in time. The crater provides a change to normal foreground and is best captured with a wide-angle lens. The best time for photography here is definitely sunrise, casting a beautiful soft light over the icy crater and silhouetted Andean Mountains. Dawn light is slightly more mystical, although the colours develop into rich red as the sun rises over the horizon, which is hard to beat. The view is so expansive that I feel zoomed shots have less of an impact aesthetically.